If you think that “freedom” necessarily rhymes with “new experience”, then we have the perfect bike for you. 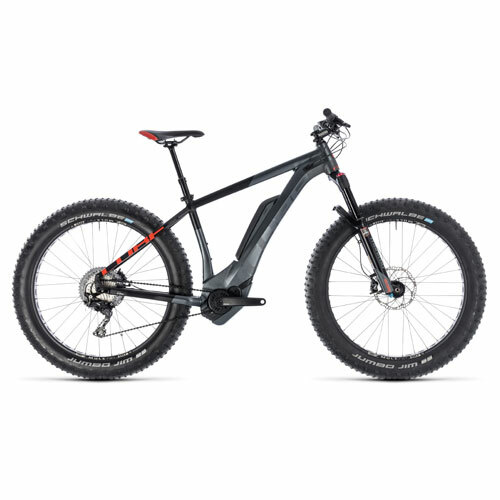 The Nutrail Hybrid combines the versatility of a fat bike with the power of power assistance to give you a Bosch V capable capable of playing on any terrain. With 4.0 “tires, a powerful Bosch CX engine, and a versatile Manitou Mastodon Comp fork, this bike knows no bounds and rolls with disconcerting ease, whether in the countryside or in the urban jungle. snow, mud, gravel, stones, nothing can stop it. This CUBE masterpiece, with its aluminum frame designed specifically to meet the needs of fat tires and the Bosch drive system, focuses all our know-how in design. From its 11-speed Shimano transmission to its powerful Magura MT5 hydraulic disc brakes, including its telescopic rod, forget your habits and go on an adventure. 20% of total amount to confirm booking & 800€ deposit required.